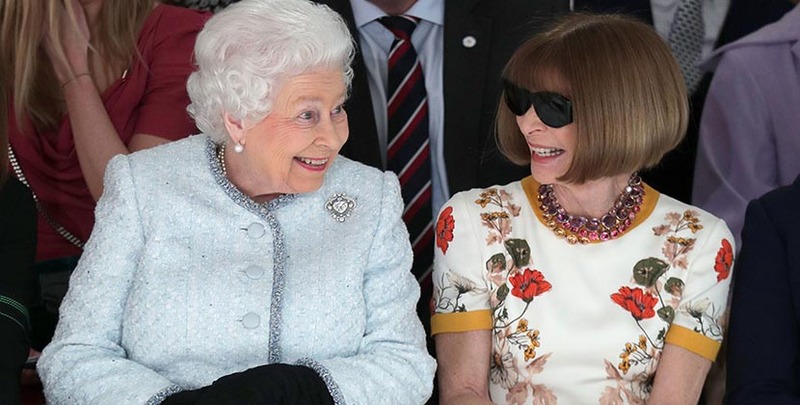 I thought the first photo I saw of Queen Elizabeth seated in the front row next to Vogue’s Anna Wintour was photo shopped. The moment seemed too unbelievable to be true, but it was real. The 91-year old sovereign appeared at Richard Quinn’s fashion show to watch the presentation and then give the young talent the inaugural Queen Elizabeth II Award for British Design. 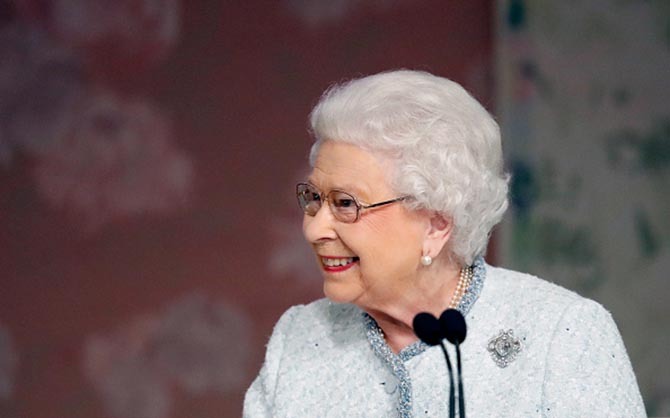 For the occasion, which was a surprise for the fashion flock in attendance and basically broke the internet, Elizabeth II wore a pale blue suit, black gloves and a signature trio of eye-popping diamonds and elegant pearls. 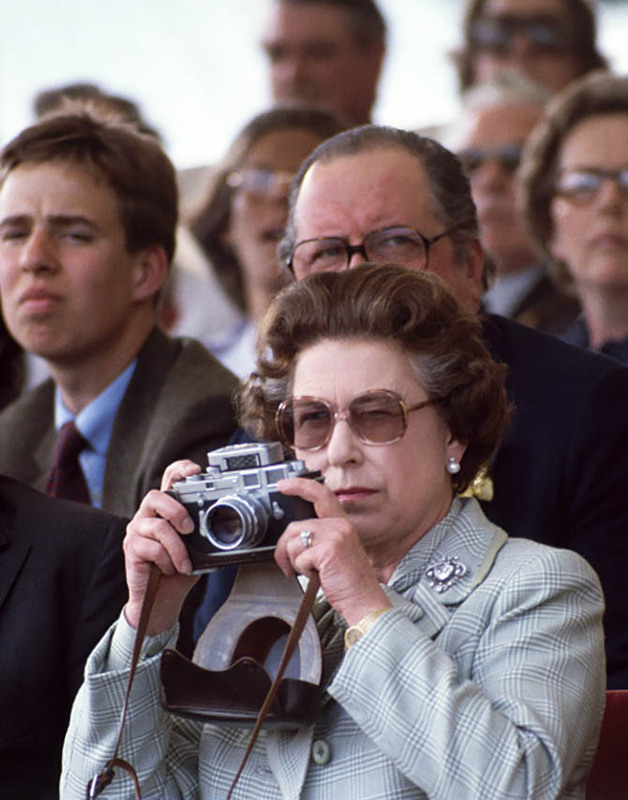 One of the Queen’s many multi-strand pearl necklaces could be seen under her collar. Her majesty’s pearl and diamond earrings could have been one of several pairs she owns. Most likely the jewels were Queen Mary’s Button earrings, pieces she inherited from her grandmother and wears regularly. 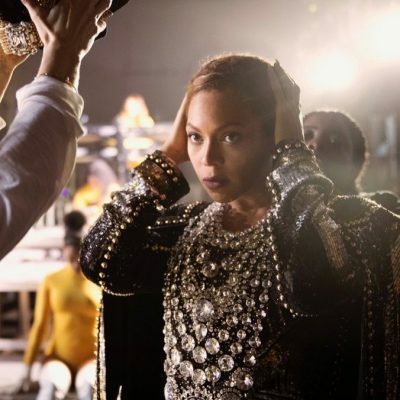 The brooch on the Queen’s shoulder was the blockbuster piece. Made by Garrard in 1911 for Queen Mary to wear to the Deli Durbar, the elegant diamond and platinum jewel centers on the 18.8-carat heart shape Cullinan V diamond. The large diamond was one of 105 stones cut from the 3,106.75-carat Cullinan, the largest rough diamond ever discovered. The colossal rough gem was given to the Queen’s grandfather, King Edward VII, by the Traansvaal Colony as a 66th birthday present. The largest diamonds from the Cullinan rough—the 530.4-carat Cullinan I and the 317.4 carat Cullinan II—are set in the State Sceptre and Imperial Crown respectively. 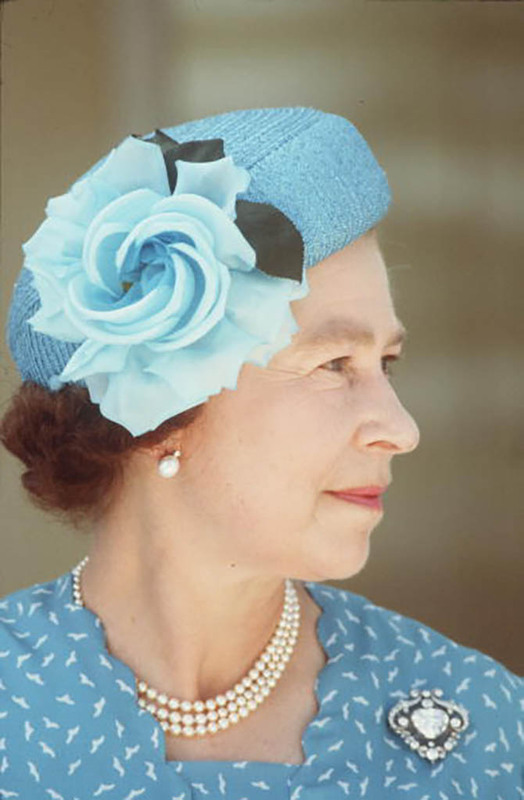 Queen Elizabeth personally owns seven of the largest gems sliced from the Cullinan. 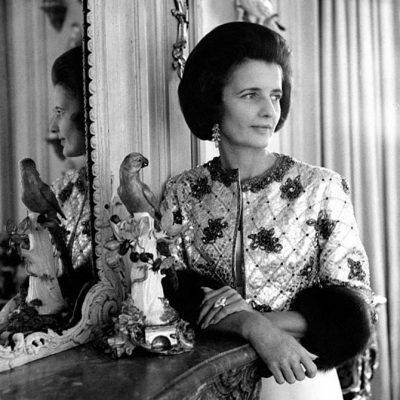 She wore the epic brooch, nicknamed Granny’s Chips, set with the square-cut 63.6-carat Cullinan III diamond and the pear-shape 94.4-carat Cullinan IV diamond for the BBC documentary, The Coronation, that debuted just a few weeks ago. 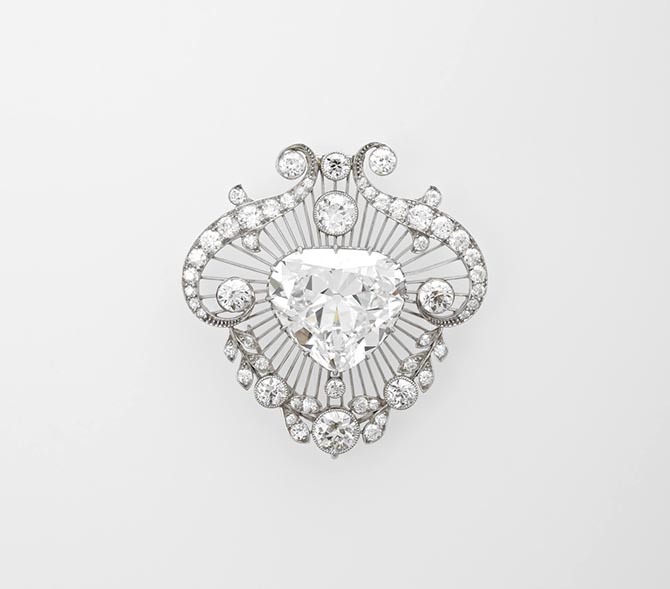 The Cullinan V brooch is among the Queen’s favorite jewels. She has worn it on countless occasions. The appearance of the heart shape gem on February 20, 2018, not only extended the love of Valentine’s Day, it also reflected the joy that the Queen’s presence brought to London Fashion Week.